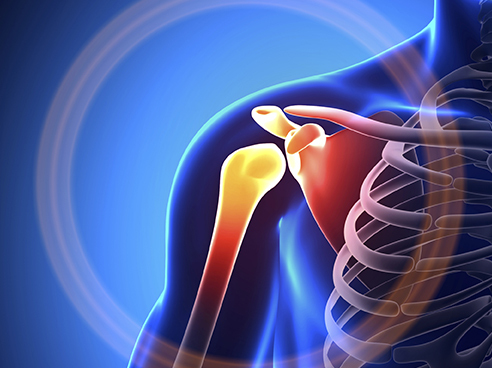 First patient-led research registry for arthritis patients launched. CreakyJoints, an online, nonprofit, patient support community with more than 80,000 members, has launched Arthritis Power, the first patient-led, patient-generated, patient-centered research registry for arthritis, bone, and inflammatory skin conditions. Focusing on rheumatoid arthritis, psoriasis, psoriatic arthritis as well as numerous other musculoskeletal conditions, the goal of Arthritis Power is to securely collect health data from tens of thousands of arthritis patients to support future research. Arthritis Power includes a steering committee of patients called the Patient Governor Group that identifies research needs for study development and prioritizes research requests from the CreakyJoints patient community around the world. The new initiative is launched in partnership with the University of Alabama at Birmingham. 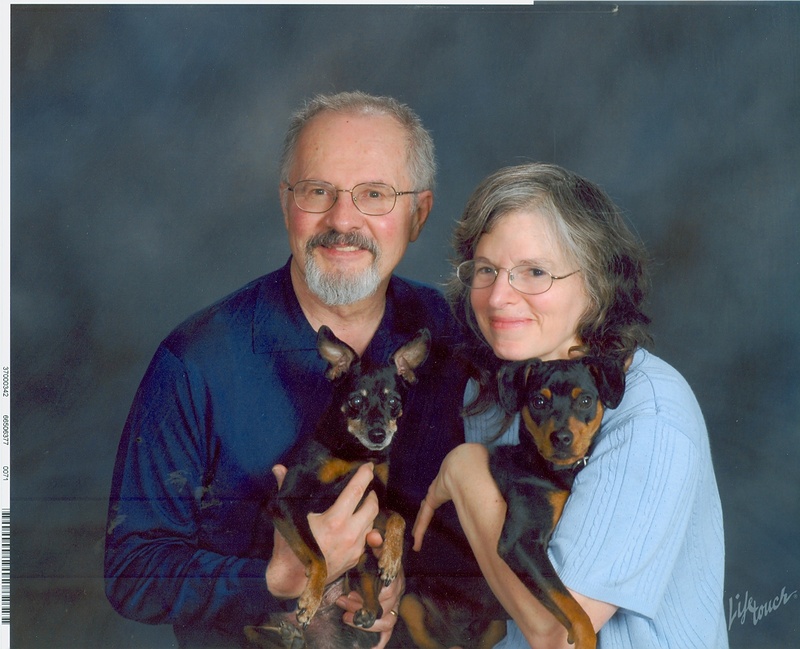 Arthritis Power is supported in part by the Patient Centered Outcomes Research Institute (PCORI), a nonprofit, nongovernmental organization created by Congress as part of the Patient Protection and Affordable Care Act of 2010. Its overall goal is to enhance informed health-care decision-making and to improve health-care delivery. Usually patients with rheumatoid, psoriatic arthritis or other chronic conditions learn about opportunities to participate in research from their health-care providers. Arthritis Power will offer a variety of clinical trial and other research opportunities, allowing patients to proactively decide when and how to participate. Securely donated data will be used by patients, universities, research facilities, and physicians to better understand how to fight these diseases and perhaps, contribute to finding elusive cures. Arthritis Power data will be collected using a smart phone, laptop, desktop or tablet where there is an Internet connection. “Patient-centered research means that we can more effectively use big data to answer questions that are important to those living with these illnesses. This opportunity will produce results that help patients weigh the value of health-care options according to their personal circumstances, conditions, and preferences,” says Jeffrey Curtis, M.D., M.S., MPH, William J. Koopman Endowed Professor in Rheumatology and Immunology in the UAB Division of Clinical Immunology and Rheumatology. 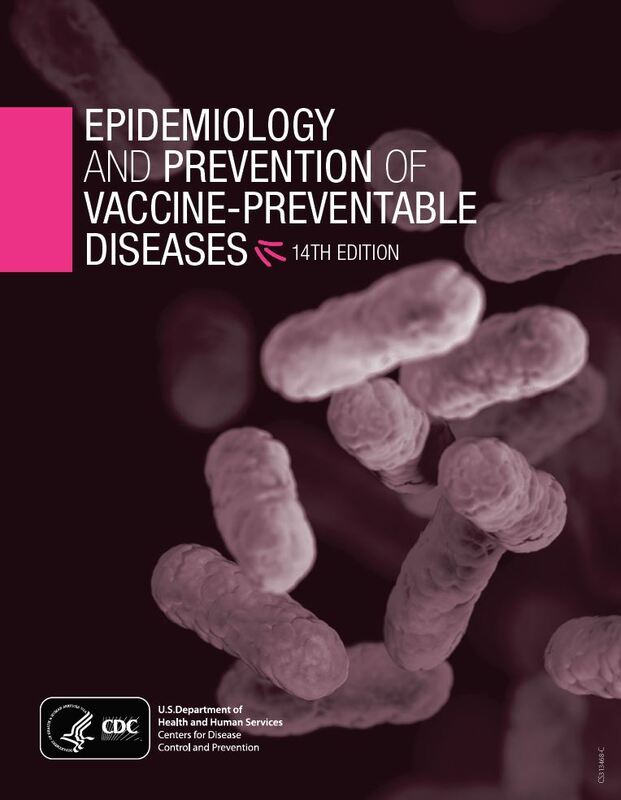 Epidemiology and Prevention of Vaccine-Preventable Diseases, 13th Edition “The Pink Book”. The 13th Edition Epidemiology and Prevention of Vaccine-Preventable Diseases, a.k.a. the “Pink Book,” provides physicians, nurses, nurse practitioners, physician assistants, pharmacists, and others with the most comprehensive information on routinely used vaccines and the diseases they prevent. Typical chapters include a description of the disease, pathogenesis, clinical features, laboratory diagnosis, medical management, epidemiology, vaccination schedule and use, contraindications and precautions, adverse reactions following vaccination, vaccine storage and handling, and references. Six appendices contain a wealth of reference materials including: vaccine minimum ages and intervals, current and discontinued vaccines, vaccine contents, foreign vaccine terms, and more. To view online or download to print specific sections, see links below. Order a bound copy from the Public Health Foundation Learning Resource Center . Iris scanners can now identify us from 40 feet away. 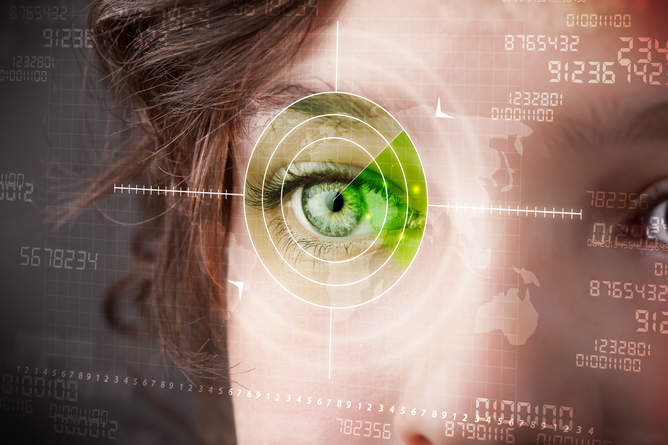 Biometric technologies are on the rise. By electronically recording data about individual’s physical attributes such as fingerprints or iris patterns, security and law enforcement services can quickly identify people with a high degree of accuracy. The latest development in this field is the scanning of irises from a distance of up to 40 feet (12 metres) away. Researchers from Carnegie Mellon University in the US demonstrated they were able to use their iris recognition technology to identify drivers from an image of their eye captured from their vehicle’s side mirror. The developers of this technology envisage that, as well as improving security, it will be more convenient for the individuals being identified. By using measurements of physiological characteristics, people no longer need security tokens or cumbersome passwords to identify themselves. Study: 23 pct of US adults with health coverage underinsured. New estimates from the Commonwealth Fund Biennial Health Insurance Survey, 2014, indicate that 23 percent of 19-to-64-year-old adults who were insured all year—or 31 million people—had such high out-of-pocket costs or deductibles relative to their incomes that they were underinsured. These estimates are statistically unchanged from 2010 and 2012, but nearly double those found in 2003 when the measure was first introduced in the survey. The share of continuously insured adults with high deductibles has tripled, rising from 3 percent in 2003 to 11 percent in 2014. Half (51%) of underinsured adults reported problems with medical bills or debt and more than two of five (44%) reported not getting needed care because of cost. Among adults who were paying off medical bills, half of underinsured adults and 41 percent of privately insured adults with high deductibles had debt loads of $4,000 or more. But Congress intended the Affordable Care Act to do more than expand access to insurance; it intended for the new coverage to allow people to get needed health care at an affordable cost. Accordingly, for marketplace plans, the law includes requirements like an essential health benefit package, cost-sharing subsidies for lower-income families, and out-of-pocket cost limits.2 For people covered by Medicaid, there is little or no cost-sharing in most states. Small Employers: Should You Help Employees Enroll in Medicaid? Researchers identify mechanisms linking early adversity, disease later in life. Athens, Ga. – Early socioeconomic adversity, such as poverty, low education and disadvantaged community, has both direct and indirect long-term effects on young adults’ cardio-metabolic disease risk, according to researchers within the University of Georgia College of Family and Consumer Sciences. K.A.S. Wickrama, the Athletic Association Endowed Professor in human development and family science, and his research team explored a “resource focused model” examining the positive psychosocial resources—self-esteem, personality and educational attainment—linking adolescents’ early life experiences to young adults’ health outcomes as measured by nine bio-markers including blood pressure, blood glucose level and body mass index. The research showed that in addition to early adversity’s direct impact on cardio-metabolic health, it also negatively influenced the development of these psychosocial resources, which, in turn, proved detrimental to disease risk, including diseases such as diabetes, heart disease or stroke. The study included data from more than 12,000 young adults currently aged 25-34 who participated in the National Longitudinal Study of Adolescent to Adult Health over a 13-year period. Wickrama has published extensively from this data set. This connection between psychosocial resources and disease risk is likely due to multiple factors, researchers said, including neurological pathways and poor health behaviors. Researchers also found gender differences relative to the association between psychosocial resources and cardio-metabolic risk. The association was statistically significant for women but not for men, they noted. For men, researchers said, early adversity impairs development of psychosocial resources, but those impaired resources do not seem to lead to cardio-metabolic risk for young adults as it does for women. The paper, “Early socioeconomic adversity, youth positive development and young adults’ cardio-metabolic disease risk,” appeared in the March issue of Health Psychology and is one of three recent papers on the subject produced by Wickrama’s research team. Co-authors include Catherine Walker O’Neal, a postdoctoral research associate, and Tae Kyoung Lee, a doctoral candidate, both in the human development and family science department within the college. Another paper, “Stressful life experiences in adolescence and cardio-metabolic risk factors in young adulthood,” was published online in February by the Journal of Adolescent Health. Using a stress-focused model, the paper links early adversity to poor physical health outcomes based on stressful events that can lead to a rush into adulthood, such as teenage pregnancy or dropping out of high school. Researchers refer to this phenomenon as a person’s allostatic load, or weathering. A third paper, “Stress and resource pathways connecting early socioeconomic adversity to young adults’ physical health risk,” was published in the Journal of Youth Adolescence late last year. This paper shows that both the resource and stress pathways connecting early socioeconomic adversity to cardio-metabolic health operate independently. Researchers suggested through these studies that vulnerable groups of children can be identified early for prevention and intervention efforts. An abstract of the Health Psychology paper is available at http://psycnet.apa.org/?&fa=main.doiLanding&doi=10.1037/hea0000208. Hiding your true colors may make you feel morally tainted. The five experiments reported here demonstrate that authenticity is directly linked to morality. We found that experiencing inauthenticity, compared with authenticity, consistently led participants to feel more immoral and impure. This link from inauthenticity to feeling immoral produced an increased desire among participants to cleanse themselves and to engage in moral compensation by behaving prosocially. We established the role that impurity played in these effects through mediation and moderation. We found that inauthenticity-induced cleansing and compensatory helping were driven by heightened feelings of impurity rather than by the psychological discomfort of dissonance. Similarly, physically cleansing oneself eliminated the relationship between inauthenticity and prosocial compensation. Finally, we obtained additional evidence for discriminant validity: The observed effects on desire for cleansing were not driven by general negative experiences (i.e., failing a test) but were unique to experiences of inauthenticity. Our results establish that authenticity is a moral state—that being true to thine own self is experienced as a form of virtue. Collectivists Hate Individuality, Tribalism And ‘Fast And Furious 7′? People tend to locate the self in the brain or the heart—and it affects their judgments and decisions. Whether people locate their sense of self in the brain or the heart can have a major influence on their decision-making, according to a new study by management and business experts at Rice University and Columbia University. Overall, the study found people tend to locate the self in the brain. The paper, “Who You Are Is Where You Are: Antecedents and Consequences of Locating the Self in the Brain or the Heart,” will be published in the journal Organizational Behavior and Human Decision Processes. Adam co-authored the paper with Otilia Obodaru, an assistant professor of management at the Jones School, and Adam Galinsky, the Vikram S. Pandit Professor of Business and chair of the management division at Columbia’s business school. The authors’ research consisted of eight studies exploring the antecedents and consequences of whether people locate their sense of self in the brain or the heart. Their hypothesis was that although people generally tend to locate their sense of self in the brain, this preference is significantly stronger for people with an independent self-construal than for people with an interdependent self-construal. People with an independent self-construal tend to assert the autonomous nature of the self, realize their internal attributes and influence their environment. In pursuit of these self-relevant goals, these people often engage in thoughts, conversations and behaviors that are conceptually related to the brain. In contrast, people with an interdependent self-construal tend to be part of a group, maintain harmonious relationships and adjust to others. In pursuit of these self-relevant goals, these people often engage in thoughts, conversations and behaviors that are conceptually related not only to the brain, but also to the heart. Gun violence restraining orders: A promising strategy to reduce gun violence in the US. Gun violence restraining orders (GVROs) are a promising strategy for reducing firearm homicide and suicide in the United States, and should be considered by states seeking to address gun violence, researchers from the Johns Hopkins Center for Gun Policy and Research at the Johns Hopkins Bloomberg School of Public Health and the University of California, Davis, argue in a new report. The article is being published online in Behavioral Sciences and the Law on May 20. GVROs allow family members and intimate partners who believe a relative’s dangerous behavior may lead to violence to request an order from a civil court authorizing law enforcement to remove any guns in the individual’s possession, and to prohibit new gun purchases for the duration of the order. Three states have laws that authorize law enforcement to remove guns from someone identified as dangerous: Indiana, Connecticut and Texas. In 2014, California became the first state in the nation to allow family members and intimate partners to directly petition a judge to temporarily remove firearms from a family member if they believe there is a substantial likelihood that the family member is a significant danger to himself or herself or others in the near future. The law, passed by the California legislature, takes effect Jan. 1, 2016. Savoring meals increases energy expenditure after meal intake. The benefits of eating slowly and chewing thoroughly have been proposed for over a century, but there has been little actual proof of the theory. Now, Naoyuki Hayashi and Yuka Hamada at Tokyo Institute of Technology have shown that, in the three-hour period after eating, energy expenditure is greater if the food was eaten slowly than if it was eaten quickly.